The public defence of Lisa Börjesson's doctoral thesis Resources for scholarly documentation in professional service organizations: A study of Swedish development-led archaeology report writing will make place in Dec 15, 2017 at 1 pm in Humanistiska Teatern, Engelska parken, Thunbergsvägen 3H, Uppsala at Uppsala University. The faculty opponent is associate professor, Dr. Carsten Østerlund, Syracuse University, USA. The full-text of the thesis (composed of four scholarly articles and a kappa) is available online in DiVA with links to original articles included. This information studies dissertation deals with the problem that results from research outside academia risk to receive little or no attention if communicated through reports, instead of in mainstream academic genres like research journal articles. The case in focus is Swedish development-led (DL) archaeology, i.e. state regulated archaeology preceding land development. Swedish DL archaeology is organized as a semi-regulated market. The organizations competing on the market are professional service organizations selling research services to land developers. Regional government departments, county administrative boards, function as intermediaries setting up procurement-like processes. In previous research on archaeological documentation, the problem with non-use of reports has been described as depending on cultural issues of access, possible to solve if individuals make efforts to communicate and use extra-academic results. This dissertation offers an alternative definition of the problem, highlighting a different set of solutions. 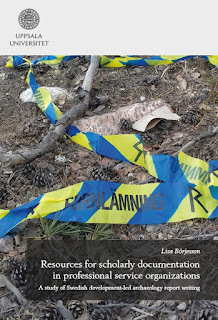 The aim is to further the understanding of how the distribution of research duties to professional service organizations affects the scholarly documentation in Swedish archaeology. The aim is met through identification, operationalization and analysis of resources available to report writing DL archaeology practitioners, and an analysis of how practitioners draw on these resources. The results further the understanding of how reports are shaped within the DL archaeology institution. In view of these results, efforts to solve issues of access should target the organization of research in the archaeology discipline, and specifically how scholarly documentation is governed on the archaeology market. The dissertation draws on science and technology studies, practice theory, and document theory for the design of the study of documentation resources and contexts in extra-academic research. A mixed methods approach is applied to capture regulative, institutional, and infrastructural resources, and practitioners’ use thereof. Dissertation papers I-III contain analyses of concrete instantiations of the resources: information policy, documentation ideals, and information source use. The fourth paper presents an analysis of how practitioners draw on these resources in their everyday report writing. 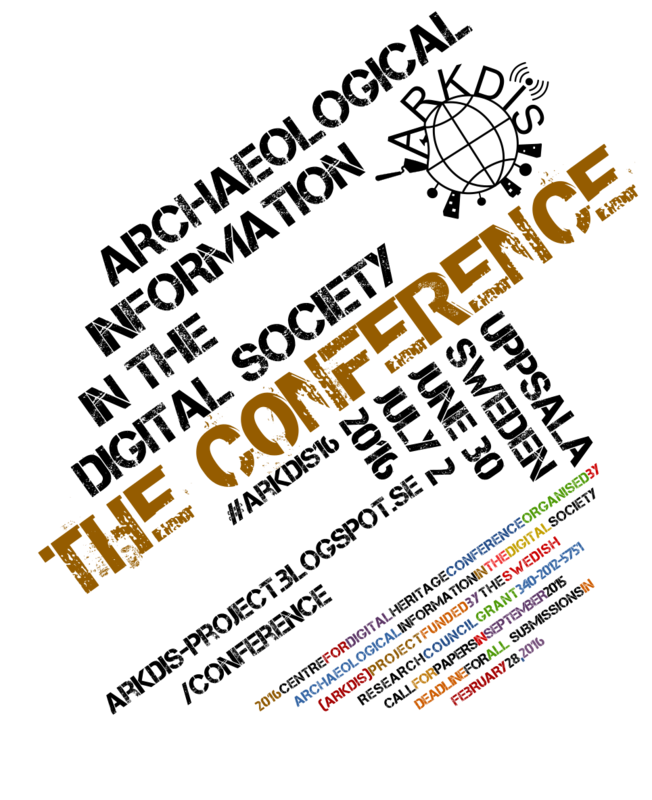 The dissertation concerns archaeology specifically, but serves as grounds to inquire into the premises for scholarly documentation in other areas of extra-academic research and knowledge-making as well.